Fleur de Parfum by Chloé is a floral fragrance for women. Fleur de Parfum is a new version of Chloe Eau de Parfum from 2008, but manages to be so much more than that. It does smell similar to the original, but with an added twist of fresh citrus. It contains notes of rose, cherry blossom, verbena, rice, musk, grapefruit, cedar, peach, black currant and bergamot. While the initial notes can be quite striking, upon settling in you will be surrounded by sweet, powdery rose with fresh citrusy hints. 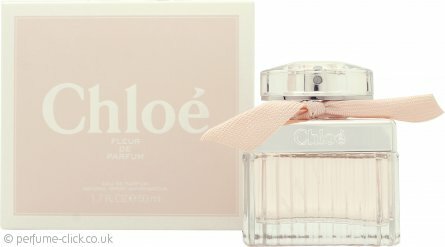 Fleur de Parfum by Chloé was launched in 2016.